WLAN. I tried few registry tweaks and modifying Firewall settings,but seems the problem was really easy. The computers was on different workgroup. So if you having problems with Atheros this might be not the drivers problem. 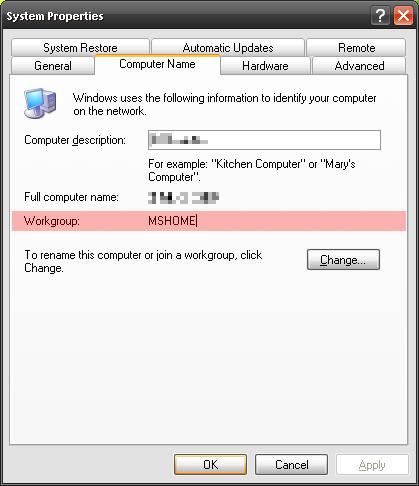 To change the workgroup of computer right click on My Computer icon and select Properties. 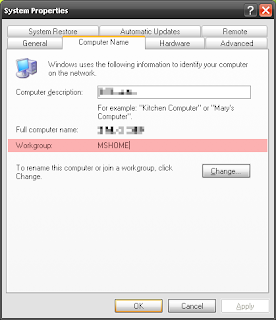 Select the "Computer Name" tab and make sure both computers are on same workgroup. I am using default - MSHOME. Also I don't automatically defined IP address. You can change the IP settings by going to Control Panel. From the left menu select "Switch to Classic View" if you using default view. 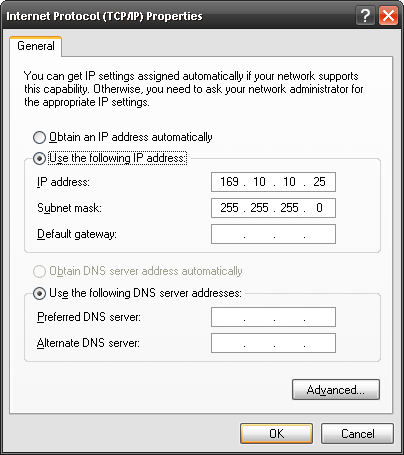 Find the "Wireless Network Connection"
Press Right mouse button and select "Properties"
In the "General" tab select the "Internet Protocol (TCP/IP)" in a list box. Your settings should look like this. 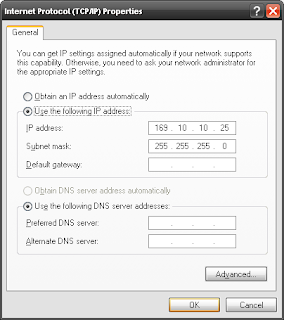 On the computer you want to connect use different IP address like 169.10.10.22 .